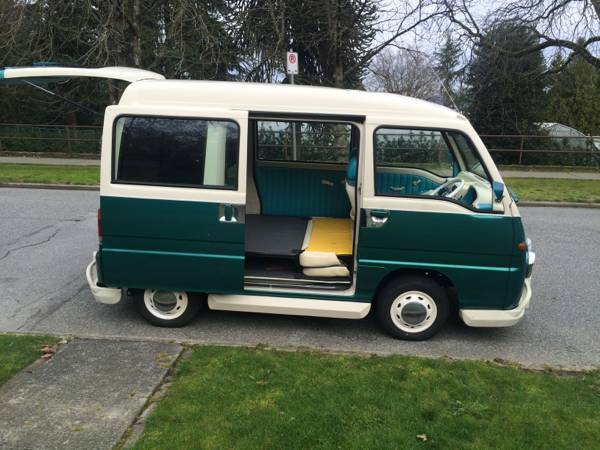 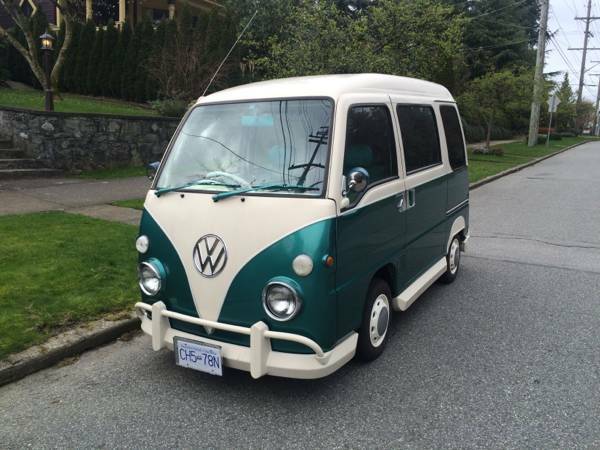 If you're looking something unique of Volkswagen Type 2 like or more than a shorty custom build, may this could be interesting. 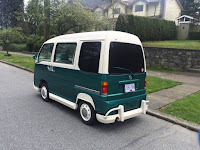 Yes this a copy of 1st generation VW bus well-known as T1 bus, that was produced by Japanese manufacturer Subaru and was offered specifically for the Japanese market, called the Sambar. 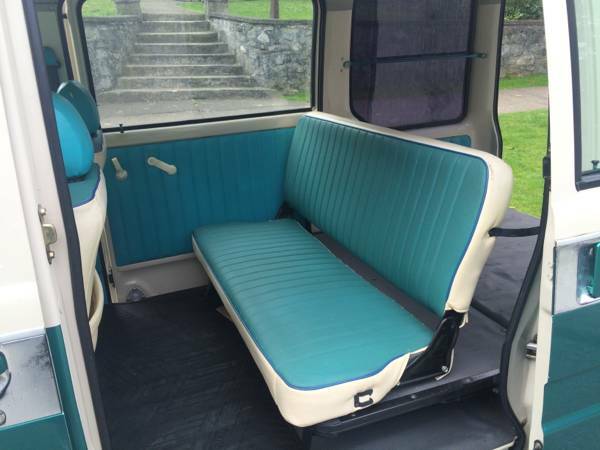 Seems the "Sambar" name is inspired by top trim package of the Volkswagen T1 Bus that was called the Samba, not only play on his name, are also has a similar layout and use an air-cooled engine but looks like had reduced in size overall. 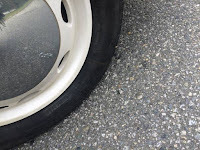 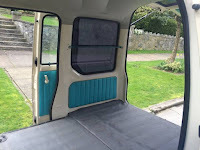 It's not custom by person, is one of original factory trims that was offered as an option for fifth generation Sambar microvan styles. 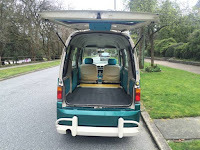 The Subaru Sambar is a very small vehicle seriously, only 6.1 ft for wheelbase, length 9.8 ft, width 4.2 ft and 5 ft for height. 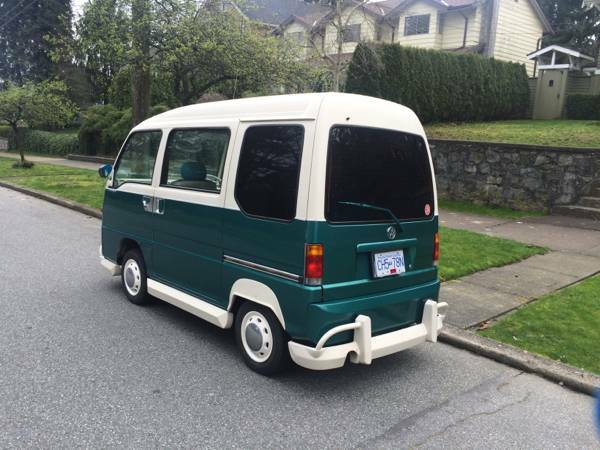 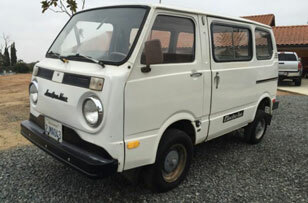 As we've shown here is a remarkable sample of 1996 Subaru Sambar Kombi is said good overall, it carry a 660cc engine and fitted a supercharger mated with 3-speed automatic transmission has been driven about 98000 km. 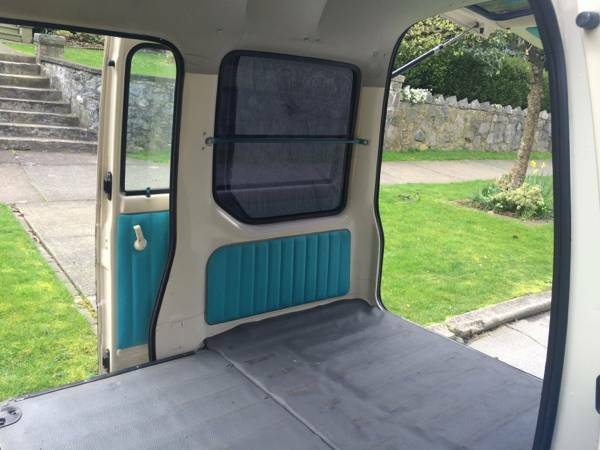 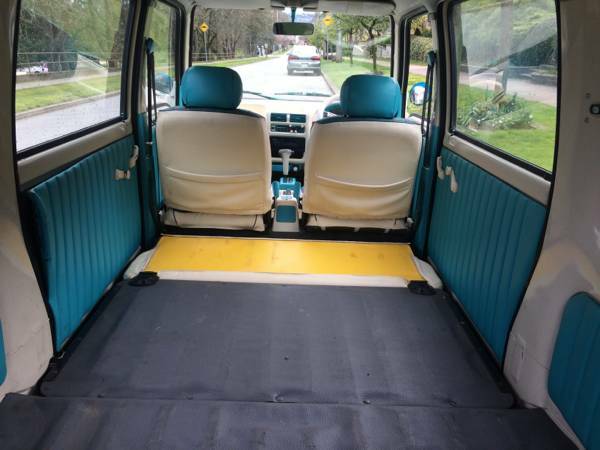 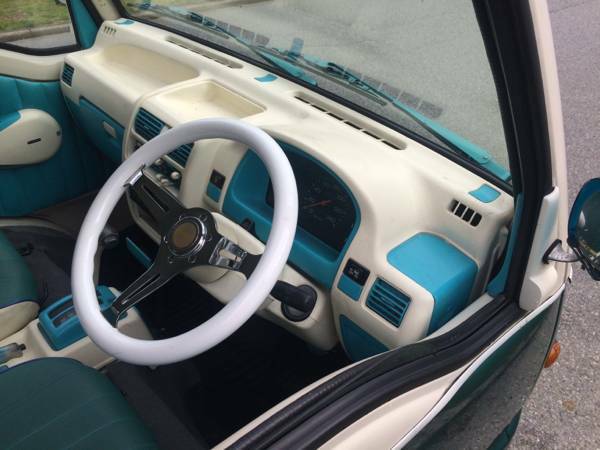 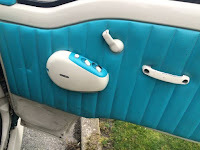 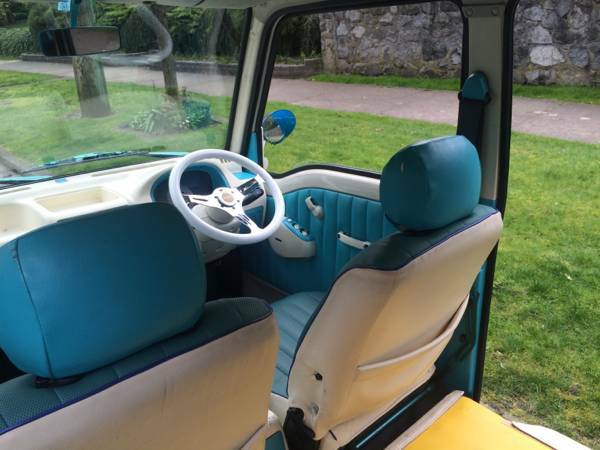 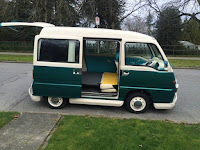 Inside, the interior looks nice and clean with classic VW Samba has scheme, and the middle seat can be folded for more a rest space or versatile cargo including all modern panel instruments it has more fun.